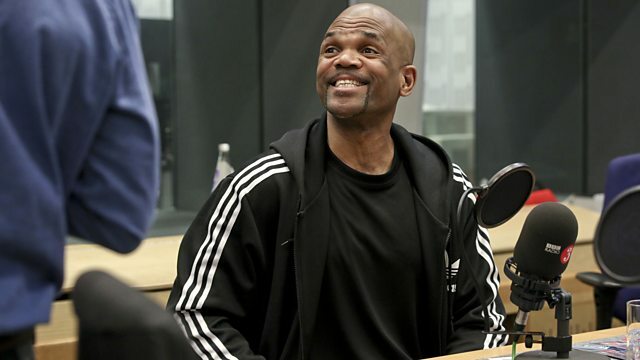 Clive Anderson and Nikki Bedi are joined by Joe Thomas, Darryl DMC McDaniels, Thomas Dolby and Rose Matafeo for an eclectic mix of conversation, music and comedy. With music from Voices of the Amazon. 'Rose Matafeo Is Finally Dead' is at the Soho Theatre, London from Thursday 15th to Saturday 17th June. Rose is also performing at the Henley Festival on Sunday 9th July. 'DMC: The Art Of DMC' is exhibited at London’s ‘Hang-Up Gallery’ from Sunday 11th to Sunday 25th June. 'The Speed of Sound: Breaking the Barriers between Music and Technology' is out now on Icon Books. 'Voices of The Amazon' is at London's Sadler's Wells from Tuesday 4th to Saturday 8th July and at Latitude Festival, Suffolk on Saturday 15th July.